Depending on your home’s structural characteristics and your family’s indoor comfort needs, going ductless could be the perfect cooling solution. Straight Line Heating and Cooling will be here to provide all the ductless services you need. Ductless AC is the perfect solution for when you need supplemental cooling for rooms that aren’t served by your HVAC system’s ductwork. While ductwork can be extended, this may not always be the most practical or cost-effective solution for every home. You’ll need to take various factors into account when determining whether to install additional ductwork or use ductless instead. 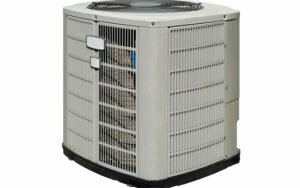 Ductless mini-splits allow multiple indoor units to be connected to a single outdoor unit. Ductless AC units are a good option for smaller spaces. Installation is quick, easy and non-destructive to your décor. Systems offer several air handler designs for practical and decorative versatility. Ductless is one of the most energy-efficient AC solutions available today. Ductless systems offer quieter operation than their forced-air system counterparts. If you are considering ductless as either a supplemental or a whole-home cooling solution, we can answer your questions. We’re a Fujitsu Authorized Dealer. We’ll consult with you about your unique situation and help you make an informed decision. Call our office today and get a free estimate. We’re an official Fujitsu Contractor. Which Cooling System Is Right for My Paso Robles Home?